Posted by Kerri Demski on Saturday, March 9th, 2013 at 11:02am. Sales are still down over last year by about 30% in Greater Vancouver; 27% in Vancouver West, 24% in North Vancouver and a whopping 51% in West Vancouver. 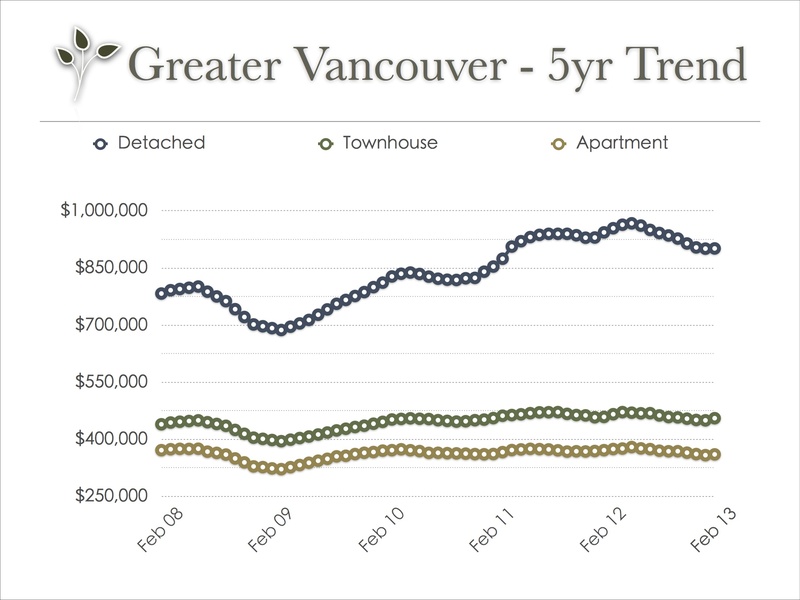 The good new is that sales are up 33% over last month in Greater Vancouver. 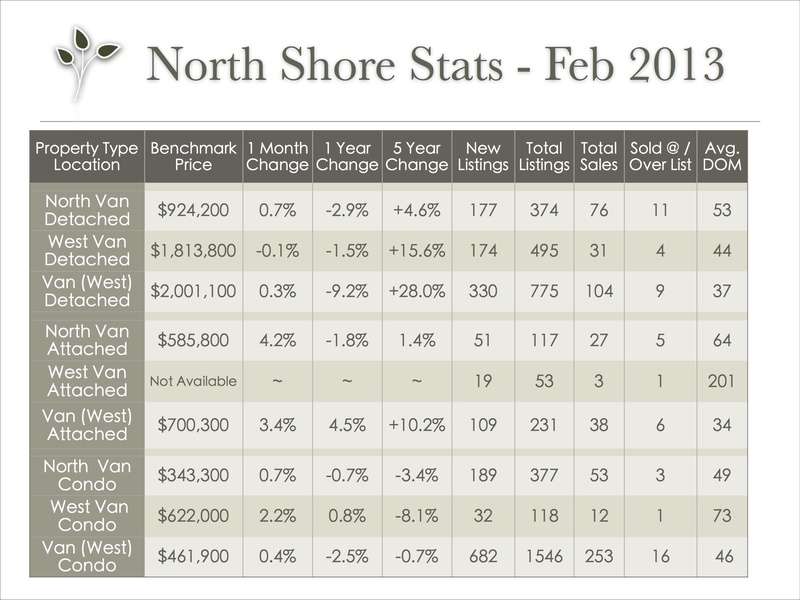 North Vancouver sales have increased by 47% while sales in West Van seem to be stagnant with relatively no change. Vancouver West is a bit below average at 27%. Sellers need to take all market factors into consideration before listing their properties for sale. There are many communities out preforming others and more listings are being staged than ever before. Contact us for more information on how to effectively market you home. Stats are provided by the Real Estate Board of Greater Vancouver; feel free to view the complete REBGV Stats Package for February, 2013 on their website.